Preparing for a birthday party we are always in search of a nice surprise that will make this event something to remember, both for the birthday celebrant and for the guests. A birthday video slideshow with music is a great idea of a memorable birthday present, and watching it together will certainly become the highlight of the event. All you need to create an exciting birthday video slideshow is a nontrivial idea, a collection of digital shots or scanned old photographs, and one or two soundtracks that have a special meaning for the celebrant or simply set the right mood. The photo slideshow software will help you unite these components into a captivating movie. It goes without saying that the birthday slideshow shouldn’t be just a random series of photographs. It ought to be centered around a certain theme appealing to the celebrant’s and the guests’ feelings. 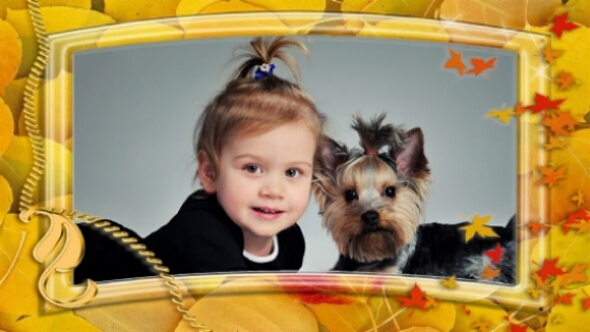 Here you will find some ideas for making a personalized birthday video slideshow. Gather the photographs of the celebrant taken during the past year, especially the ones that highlight its special moments. It’s great if they show the celebrant’s achievements at work or at school, in sports and hobbies. It’s particularly fun to watch if the party guests are also present in the photographs and share the sweet memories. 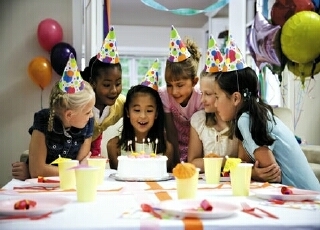 The birthday party is exactly the right time to tell the person that we love and appreciate him/her. Think of the character traits that make the person special, of his/her talents and good deeds. Find suitable photos to illustrate all of these, and add matching text captions. For a milestone birthday, it’s fun to gather the pictures from different periods of the celebrant’s life. You can then make a compilation, starting from baby pictures, then school and college, work and family photos. Arrange them in chronological order and invite the audience to take a walk down memory lane. You can prepare a surprise birthday slideshow by finding some long lost photos of the birthday person. These may show some funny moments, or just let the guests learn more about various sides of the celebrant’s life. If you would like to implement one of these birthday video slideshow ideas, learn how you can turn your photos to video with photo video converter.